Minister of Planning Dr. Nouri Sabah al-Dulaimi announced on Wednesday the five-year plan to support and develop graduates of agricultural and industrial education to enable these graduates to participate in poverty alleviation strategy projects and rural development. 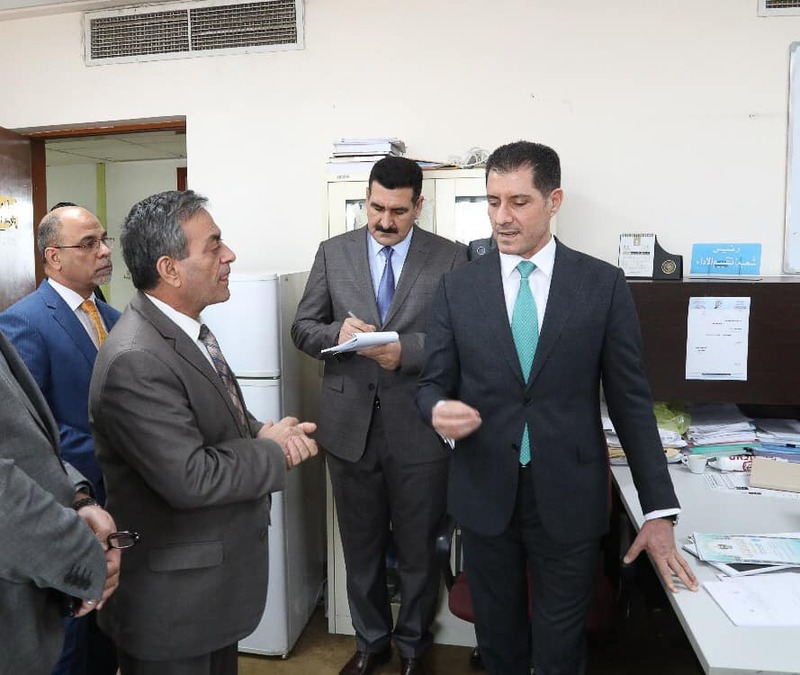 Dr. Nuri al-Dulaimi visited two separate rounds of the Executive Directorate for Poverty Alleviation Strategy and the Inspector General of the Ministry of Planning. He met with officials and employees of the two departments and reviewed the progress of the work within the plan set by the ministry in advance. The Minister of Planning, during his inspection visit, adopted the results of the survey of rural development conducted by the Ministry recently to establish joint work projects with graduates of agricultural and industrial education in the areas most in need and in order to contribute to providing the best sustainable services for citizens .. Revealing the ministry's endeavor to invest the proportion of allocations Which included the budget this year in financing the package of activities and projects included in the strategy, the poverty reduction strategy during the current year and future years, indicating that the strategy aimed at reducing poverty by 25% ؜, calling on the Department of Inspector General to intensify its efforts thin To achieve these goals.